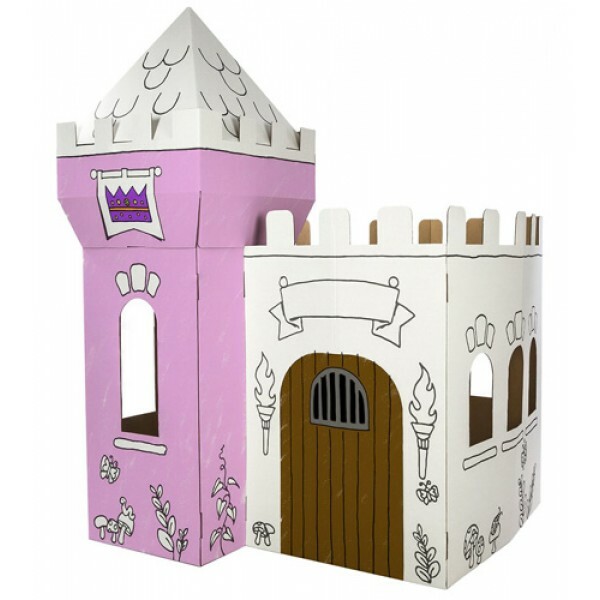 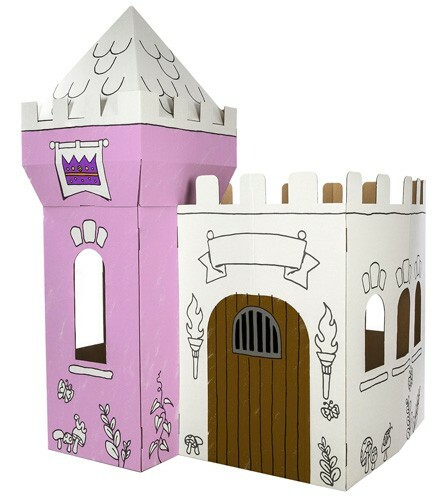 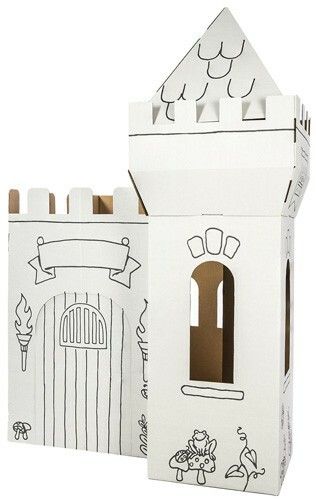 They'll have fun building and decorating their very own castle from Box Creations! 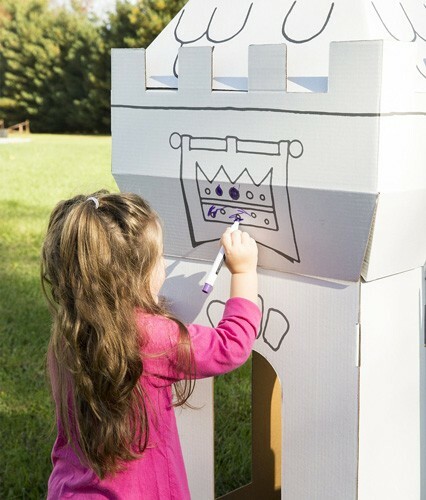 This cardboard play structure is easy to assemble and store cardboard and comes complete with set of 4 washable markers -- but you can work in your own craft supplies for the perfect finishing touches! 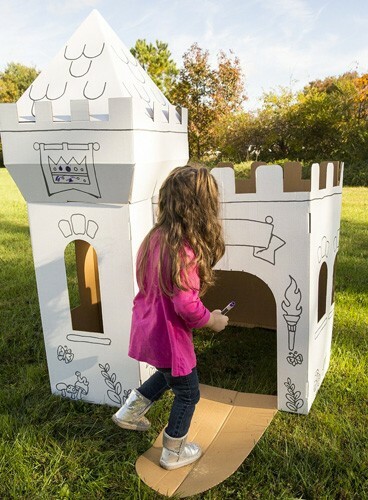 Completed, it's 52" long, 43" wide, and 40" high, plenty big enough for lots of adventurous play.